During Summer 2011, we’ve been assigned by Australian Filtered Group Pty. 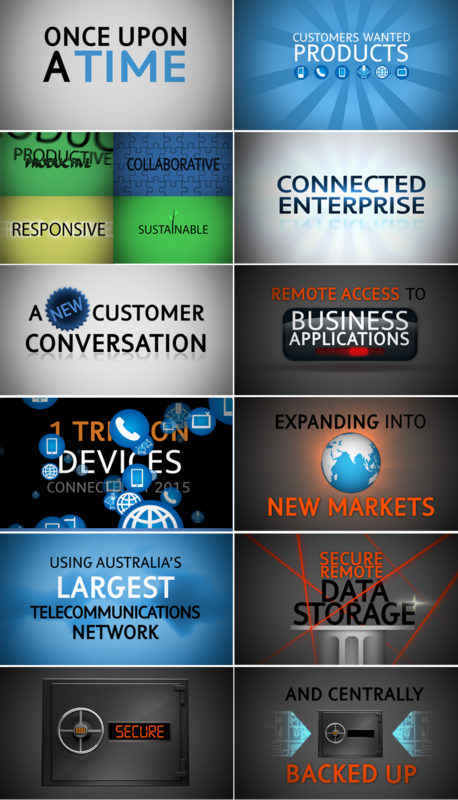 to help them produce 8 Full HD videos for Telstra, Australia’s largest telecommunication and information services company. The above video is a brief showcase of them, showing 3 minutes out of the total 30. Prior to the start of the project, we received written scripts containing words to be animated and interview footage that were shot by the team of Filtered Group Pty. The rest was mainly up to us. • And also original music creation.